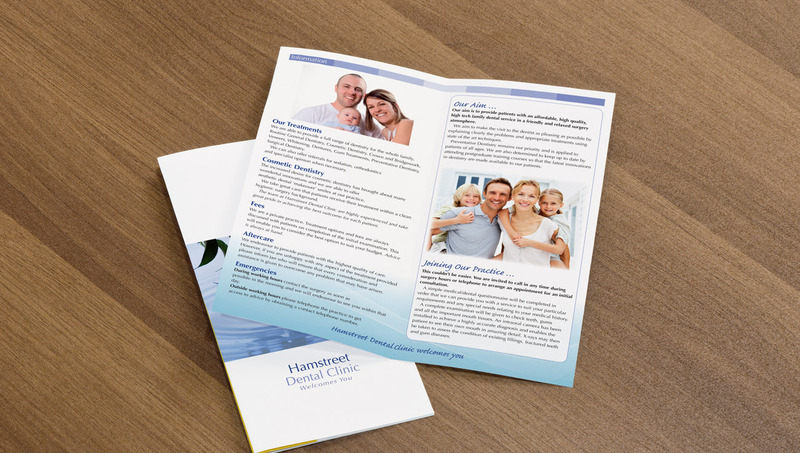 Hamstreet Dental Clinic wanted a fresh approach to the design of their practice leaflet. 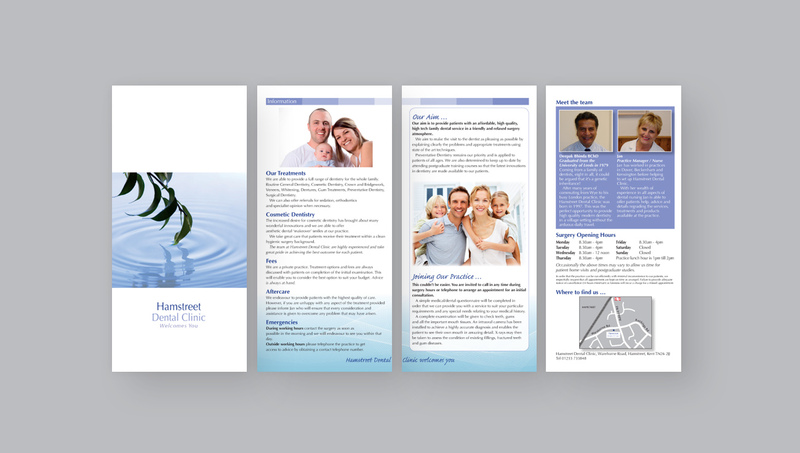 They were very happy with our clean, bright design which tied in with the image they wanted to portray. Staplehurst Dental Practice wanted new compliment slips to match the owner's business card.